Talking about F1: The F1 blog: Abu Dhabi Preview: Same as it ever was? There are various things that F1 should be about. Modernity. Awe. A sense of the future. 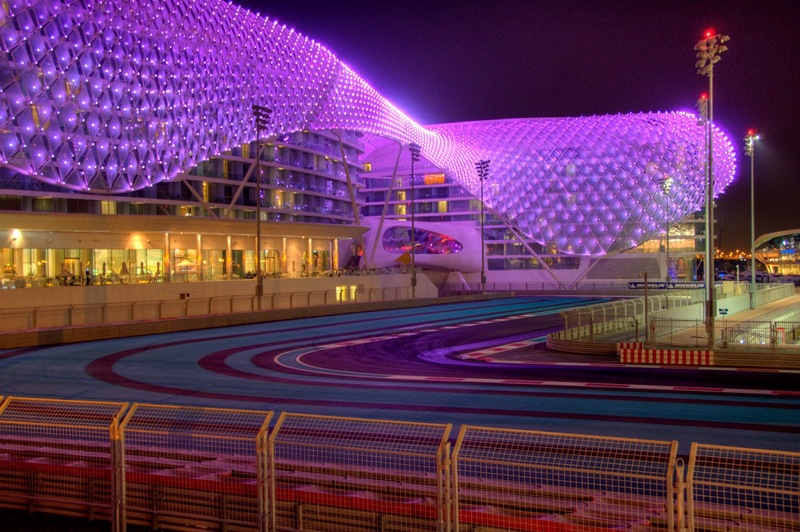 And the Yas Marina circuit, the scene of the Abu Dhabi Grand Prix, has more of these than any other stop-off. In its short life the venue has no shortage of icons established already. Visually it is stunning: all gleaming, shimmering, towering architecture, the like that one would have more expected to see in the Utopian future presented in a sci-fi film. It has the Yas Marina hotel which the track passes under, shines in ever-varying coloured lights and attracts many a wide-angled camera lens. It's also the calendar's first and only day-to-night race, the changing dusk-to-night light level throughout a little reminiscent of Le Mans. 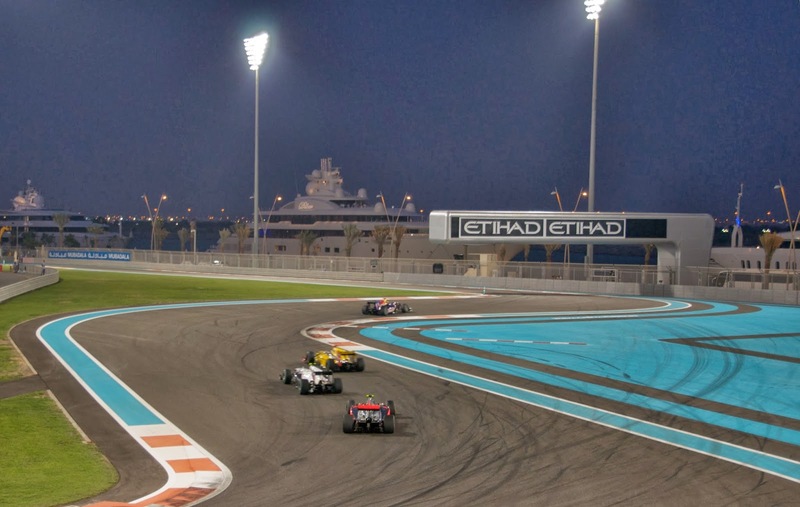 Despite there being no shortage of newer tracks appearing since, the Yas Marina track - now experiencing F1's visit number five - remains the sport's standard bearer in terms of modernity and facilities. All that attend concur that everything seems to be in place. Hermann Tilke had in designing the place, as usually seems the case, a seemingly infinite amount of space to play with, yet in this case he went rather hog wild with the slow corners for some reason (only Monaco and Singapore on this year's calendar has a greater abundance of turns taken at under 100kph than here). Much of the Yas Marina track, particularly the final sector, has a strong street track redolence. Only turns 2 to 4 are quick. The weekend's Grand Prix is what is known in tennis as a dead rubber, at least it is in terms of topping either championship table for which the white flags went up definitively last Sunday. And expectations that 'the gloves will now come off' and everyone with the championship pressure off will cut loose are, sadly for those hoping for closer fare, likely wide of the mark. For one thing, F1 is decided in large part by who has the most grip underneath them, and championship pressure or its absence doesn't impact this. Also, if any driver had more in the locker to be brought out only when the pressure was off then they wouldn't have been doing their job properly. And, lest we forget, this year's championships going Sebastian Vettel's and Red Bull's way properly was hardly unforeseen. Most have considered them an inevitability for weeks. Indeed, the probability is that the competitive order this time will be about the same as we've gotten used to recently. Which means Vettel and Red Bull on top. The Bull always seems to charge at a rapid pace at these low-grip surface Tilke-designed tracks, and Vettel with his precision and confidence - as well as his unrivalled ability to utilise the blown floor to help him through tight corners - has always been one to beat here. His record says it is so too: he won on the first two visits, set pole the next year (only to retire almost as soon as the red light went out with a puncture) while last year of course he rose Lazarus-like to finish third after starting from the pitlane. And as before there doesn't seem much probability of Vettel slacking, even now that the latest title is in his pocket. Going full out for wins seems his way, even when plenty is at stake, and Seb - a fan of records - will no doubt have the desire to equal Schumi's record of 13 wins in a season as well as Ascari's record of nine on the trot somewhere in his mind. And the evidence of Friday's practice running is that Seb will indeed be on top. The only guy that got close was his teammate, Mark Webber, but as often is the case at these Tilke tracks Seb seemed consistently a step or two ahead, particularly so on race pace. The one potential seed of doubt could be sown by Romain Grosjean - appropriate given he's by far the most consistent Red Bull irritant in recent weeks. He wasn't able to complete his running in second practice due to a brake disc problem, and his theoretical soft-tyred lap time did look somewhere near the Red Bull ballpark. It's less clear where he is on the longer runs though, and there's also the fly in the ointment of whether his lost practice running will impede him more generally. 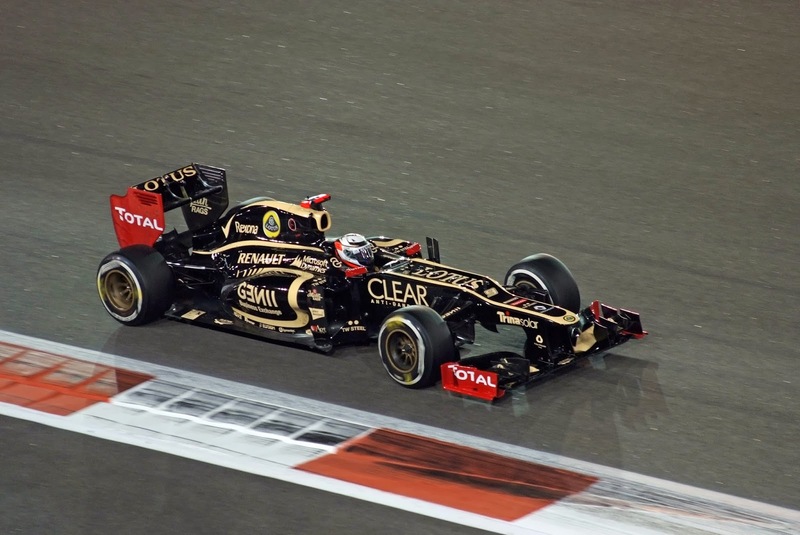 On the subject of things impeding Lotuses, Kimi Raikkonen and the team are creating a soap opera all of their own, with something closer to the full extent of the driver-team strain over unpaid salary becoming public knowledge via Kimi's latest comments on the matter. Apparently as a result of it all he had to be talked out of staying at home this time, and he refused to rule out not turning up for the two remaining rounds after this one. Whatever is the case it's hardly what the team needs as it aims to bear down on Mercedes and Ferrari in the chase of the runner-up spot in the constructors' table, and could do with a two-pronged assault as it does so. Lewis Hamilton is another, like Seb, who always goes well here in Abu Dhabi. His late on the brakes and swivel the car round controlling a sliding tail beautifully style really suits the final sector of the lap, wherein he is a joy to watch. In the four visits he has a win here, a close second place and two retirements having led. But if today's practice running was any guide, while he may be among the best of the rest, not even Lewis's skills can bridge the chasm to the Red Bulls. 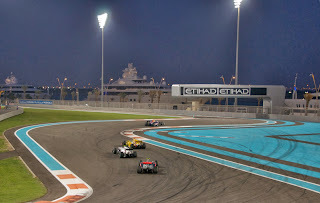 Still - with the glaring exception of last year's race and particularly Seb's drive in it - overtaking has often been tricky around the Yas Marina circuit. Strategy often therefore is vital, and the same tyre compounds are brought that caused so must merriment in India. This track puts less strain on the tyres though. But if someone can sneak ahead of Seb in qualifying, or off the line - probably be the best chance of stopping him - then that someone could make things interesting. It won't likely be someone in a Ferrari though, as the Scuderia looks to be having a particularly traumatic time of things. Perhaps it's not surprising, as Gary Anderson has noted the first thing to go wrong on the current Ferrari is the rear of the car breaking away, so on this track without much grip from the surface as well as plenty of acceleration zones and tight turns the forecast will not look good. With second place still at stake in both championship tables this weekend will likely be one to be got through - with as little damage as possible - for the red team. Maybe it will be for everyone else too. 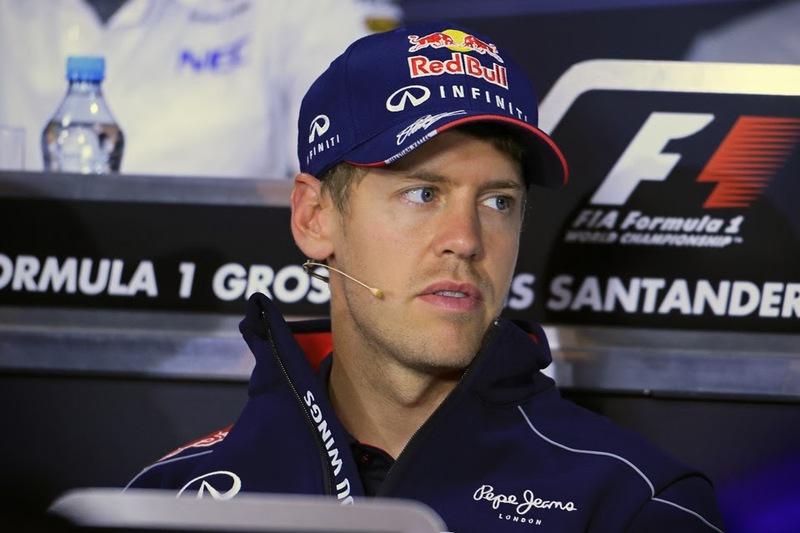 Just like in every round since the summer break, even in advance it seems only the very unusual - reliability or some other significant misfortune - can disrupt the Sebastian Vettel parade this weekend.